Great country home within a short drive to Castle Rock Lake and boat launch. 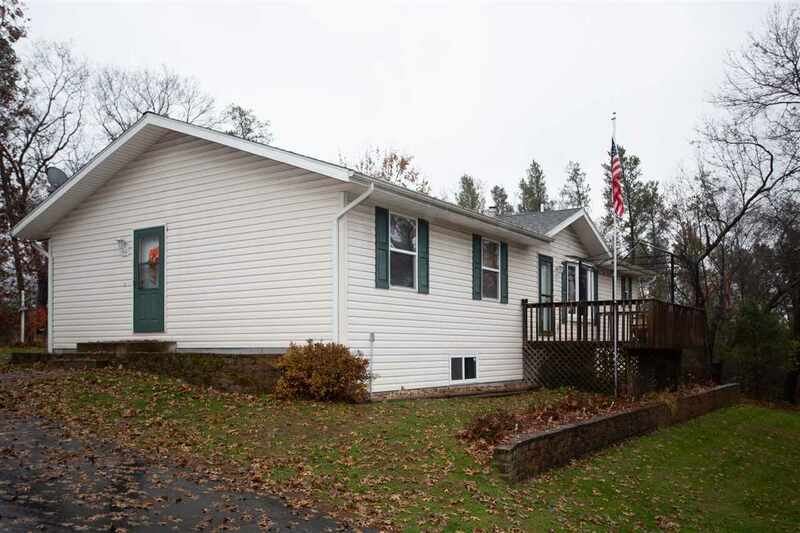 Spacious ranch home with 3 bedrooms, 2 bath, living room has a beautiful gas fireplace making this a great place to relax, open kitchen/dining area with patio doors leading to a low maintenance deck to enjoy the view and wildlife. Full basement that is plumbed for another bath. 2 car detached garage, blacktop driveway, an additional 20x30 pole building. Don't miss out on this wonderful home and location!